Creating the perfect bathroom might be an entertaining, yet responsible task, if you want to enjoy fully your time there. There are all kinds of work that can be done to upgrade your bathroom. From tiles, shower/bathroom area, sink, tapware, windows to towels, soap and aroma candles. To have everything in order, you need to have at least an idea of what needs to be done. It could be a small project or an entire bathroom makeover. For excellent results, this type of work requires experienced handyman service. You don’t want to change your tiles in less than a year because someone didn’t do their job, right? Thought so … I have already made several renovations in my home, including one for the bathroom. I can say that I’m the type of person that has fun while doing this type of work, because I experiment with styles, designs, etc. I will give you some ideas and hints for your next renovation job for tiling the area. The most important thing is to have at least a brief idea, how do you want your bathroom to look like. It’s essential that the bathroom follows the style of your home. It might happen naturally with small projects like changing tapware, colours of towels, etc. There are several options for picking the right tiling material. The most commonly used tiles are the ceramic ones. However, porcelain tiles are more expensive but made from a more refined material, which makes them more durable than ceramic ones. Both tiles are popular due to the endless possibilities that they offer. The current trend is to make bathroom areas even more exquisite with composite and natural stone tiles. Composite stones offer more consistency in patterns, stain and scratch resistance and have a long warranty. If you prefer the curves and flaws of the natural stone, this type of tiles will add some additional elegance to your bathroom. Choosing the right colour could be a tricky part. If you don’t favour any particular one, try to browse the web for some ideas. 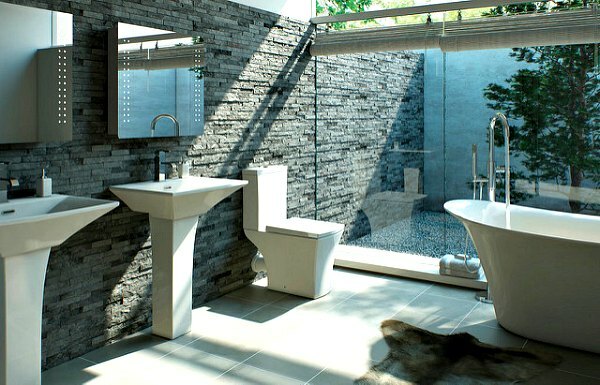 You might as well see, that there are a lot of examples for high and low contrast designed bathrooms. It really depends on your taste. On the other hand, if you have this simple rule in minds it would be easier for you to choose: Light coloured or neutral tiles will always make any space appear larger, a darker tile can make your bathroom appear smaller and cosier. I know how much all of you love cleaning. Ha-ha. So, if you want to make your shower area a lot easier to clean, instead of tiles, install large slabs or glass panels, since they make cleaning much easier than small mosaic-type tiles. 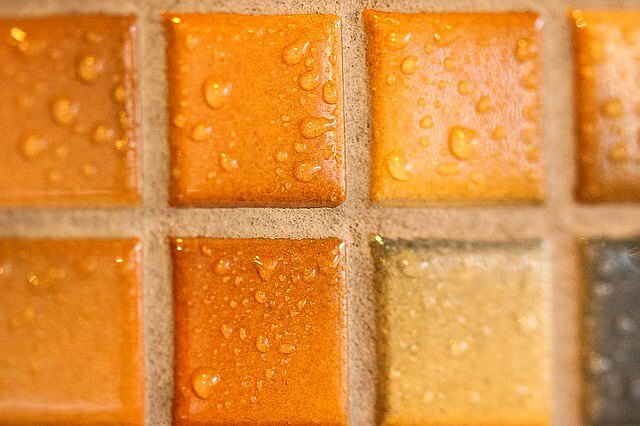 Also, don’t forget that grout also needs to be clean regularly, because sometimes they appear to be a germ central. So if you have dark tiles with light grout, the moment they start to get dirty, everyone will see it. Having all kind of renovations is fun, yet expensive experience if we want to keep some money for that long awaited vacation. Before you start, make sure you have a strict budget and don’t exceed it. Tiles could be a good investment, so it’s better to spend a little bit more on them and less on accessories. TIP: If you have trouble with the selection of materials, colours, etc. it’s better to have a professional advice from bathroom renovation experts. They will gladly share their previous experience with home renovation. Note: Get more design ideas by visiting the KBDi website (Kitchen and Bathroom Designers Institute of Australia).